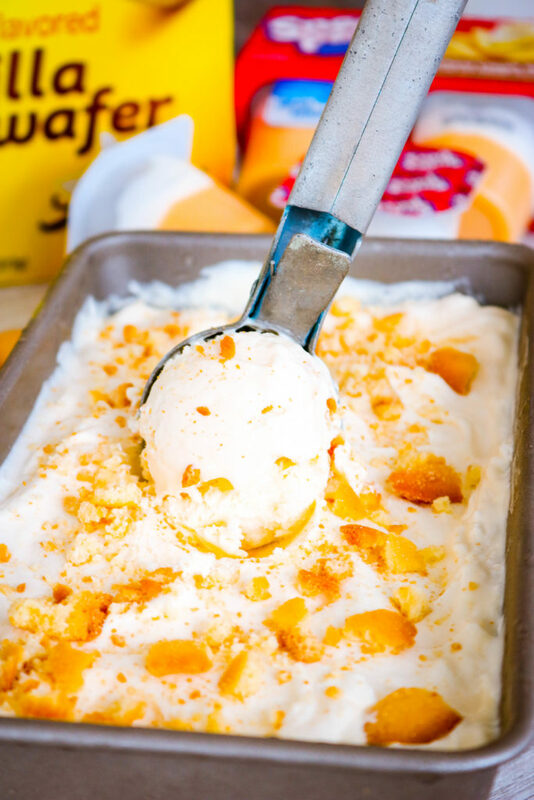 If you love banana pudding you’re going to go crazy over this simple Banana Cream Pie Pudding No Churn Ice Cream! We moved into the new house a few week ago (ok, like over a month ago) and I’m just now starting to feel like I’m getting everything organized and where it’s suppose to go. Every other time we’ve moved I had everything unpacked within like 2 days, now with a little one it’s not that easy. Well, at least it’s not that easy for me but I’ve been slowly working on it and my husband has been helping on the weekend. I’m loving my new kitchen and even though I thought I was cooking a lot at the apartment, I find myself in the kitchen even more here at the new house. Maybe it’s because I have space, or because I feel at home here even more than I did at the apartment. 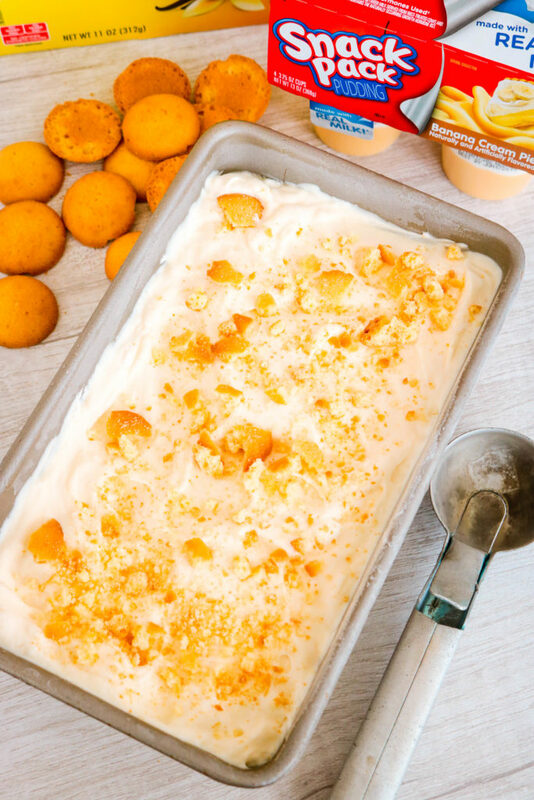 Either way, I’m loving it and my family and friends are enjoying the rewards, like this Banana Cream Pie Pudding No Churn Ice Cream! I made a batch of Banana Cream Pie Popsicles a few weeks ago and they disapeared so quickly. Everyone loved them so much that I made another batch to post on the blog. 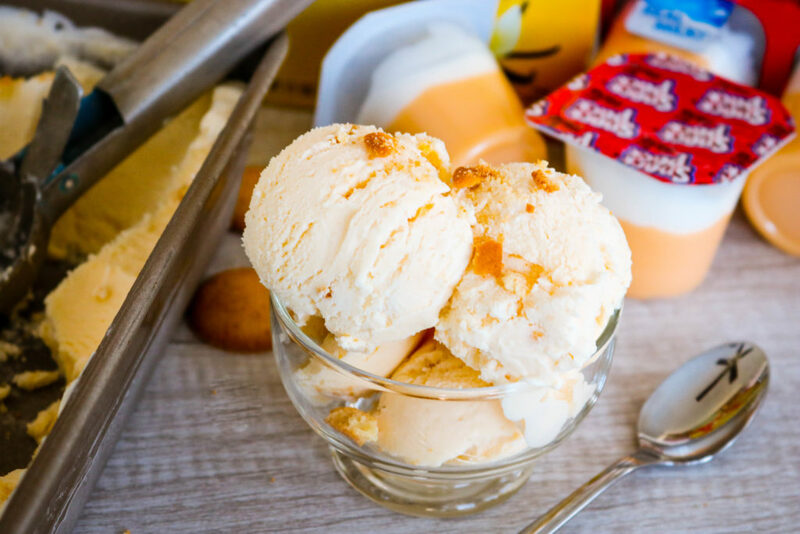 Those popsicles tasted just like a frozen Banana Cream Pie, which got me to thinking…maybe I could take this Banana cream pie flavor and turn it into the perfect no churn ice cream. That’s when this Banana Cream Pie Pudding No Churn Ice Cream happened! Well, the thought was there, but it actually happened because my friend Nikki came over to see the new house with her girls and wanted banana ice cream. I didn’t have time to make the banana cream pie opsicles so I settled on Banana Cream Pie Pudding No Churn Ice Cream and made it happen! I stopped by the store and grab a pack of the pre-made banana cream pie pudding cups. They worked out perfectly for this ice cream. You can use homemade Banana pudding pie pudding or boxed or the premade kind. I’m not going to judge. It’ll be perfect no matter which way you decide to go. 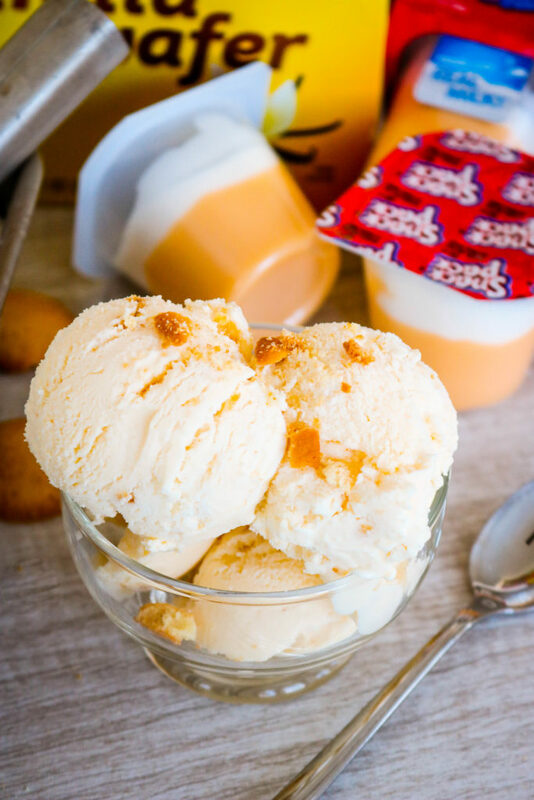 If you love banana pudding you're going to go crazy over this simple Banana Cream Pie Pudding No Churn Ice Cream! In a mixing bowl, add heavy cream, powdered sugar and banana, mix on high with electric mixer until stiff peaks form. Add in sweetened condensed milk and pudding. Whisk until combined to make ice cream base. Sprinkle on some crushed vanilla wafers. Spoon on another layer of ice cream base, continuing to layers of ice cream and vanilla wafers until loaf pan is full. Finish with crushed vanilla wafers. Definitely going to give this recipe a try! Sounds delicious and I’m loving No Churn ice cream. Why do the no churn recipes instruct to use a loaf pan? I am looking forward to this! Love your site and your recipes are delicious, quick and easy. Thank you! This amount of no churn ice cream fits perfectly into a loaf pan. Plus it looks like a carton of ice cream to me like that. That’s why I use one. You can use anything you’d like. Hope you give it a try! 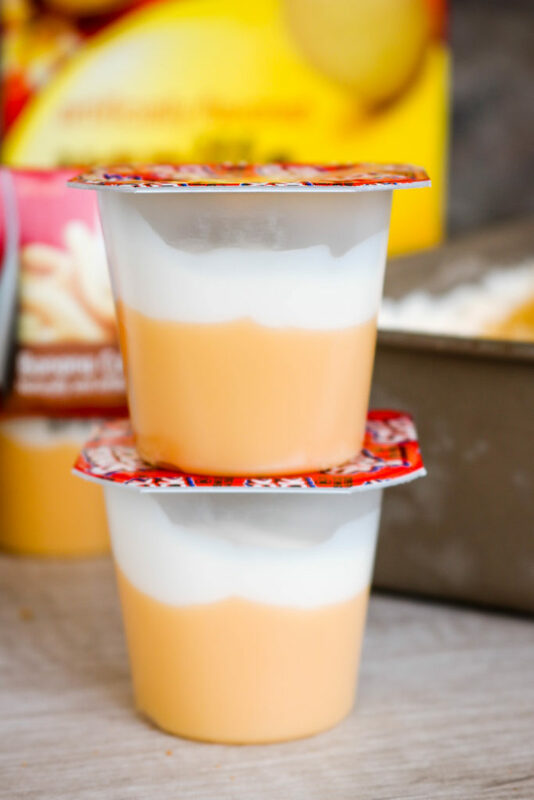 Where do you find the little banana pie pudding packs? I got these ay Food Lion but almost every grocery store will have them. They’re over on the snack aisle, sometimes I find them on the baking aisle and then they have some that are refrigerated too.